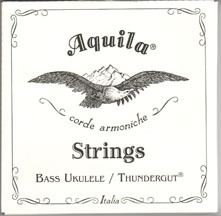 Longer Scale Uke Bass For Improved Acoustic Performance! Width of upper bout: 9 1/2"
Width of lower bout: 12 5/8"
There is a light that will turn red when your battery power is low. The bass ukulele uses two Lithium 3 volt batteries, and when the power becomes less than 6 volts, the red light will shine. Changing the batteries is easy. Just stick your fingernail in the battery compartment groove and pull to release the case that holds the batteries. When you put the new batteries in, have them both with the positive side up. (The positive side is the side with writing on it.) Then snap it back into place and you are ready to play!